I recently watched a movie on television called Secretariat. It’s about a woman whose parents were owners of a horse stable that breed race horses. When the mother passes away, the daughter comes to help her elderly father and to attend to the business affairs of the family’s horse ranch. The father eventually passes away as well, leaving the daughter to make some tough business choices. However, before her father’s passing, the daughter witnessed the birth of a colt, Secretariat. She falls in love with the colt and refuses to sell him to collect the money needed to pay her father’s estate taxes. Because of the daughter’s love for Secretariat and her belief that the colt is destined to be a prize-winning thoroughbred, she decides to train him as a race horse in order to pay her father’s debt and save the family ranch. After racing a few times and winning, Secretariat performs poorly in his next race due to an abscess in his mouth. To take this over the top, Secretariat’s illness coincides with the upcoming Trip Crown races (a series of three major races), and it’s uncertain whether he will be at peak performance for these big races. But Secretariat does regain his strength in time to participate in the Triple Crown races, and when he does, his groomer was so excited that he went onto the empty race track to proclaim to prospective race goers: “Tomorrow you will see something like you’ve never seen in your life!” And indeed race goers did see Secretariat win a major victory – the Triple Crown! When Secretariat’s groomer made his proclamation in an empty arena regarding Secretariat’s impeding success in the Triple Crown races, his words resonated with me. And within myself, I embraced the groomer’s words for my own life. They were words that I think everyone should be able to proclaim about some super awesome event(s) in their lives. However, if this has not been your experience, join with me in making 2015 the year that we cultivate positively awesome life experiences that leave us amazed. Similar to the way Secretariat’s groomer proclaimed his upcoming success, speak truths from God’s word and other positive affirmations over your life and the lives of those you love. I believe that 2015 comes carrying my awesomeness and yours, if we will be bold enough to follow the leadings of our heart (not our emotions), plan accordingly and work our plan, and continue trusting and believing in God, who turned a shepherd-boy named David into a king and a prisoner named Joseph into a ruler! 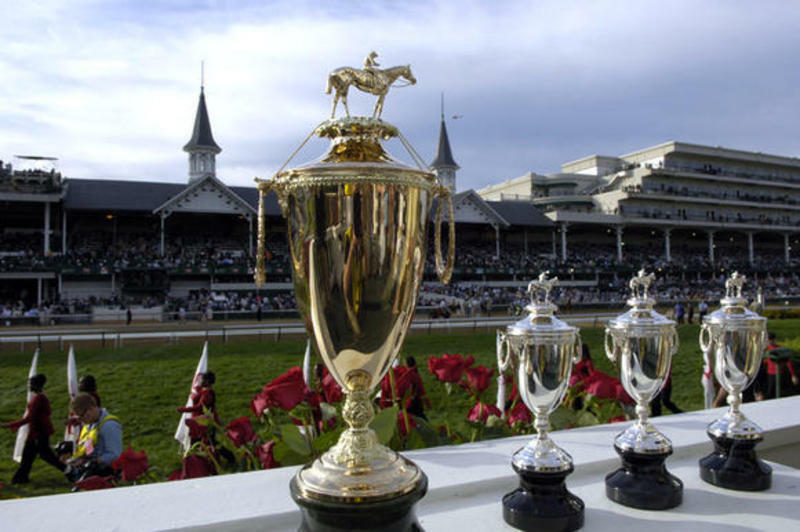 Let 2015 be the year that we run our race, as Secretariat did in the movie, and follow our dreams and win!